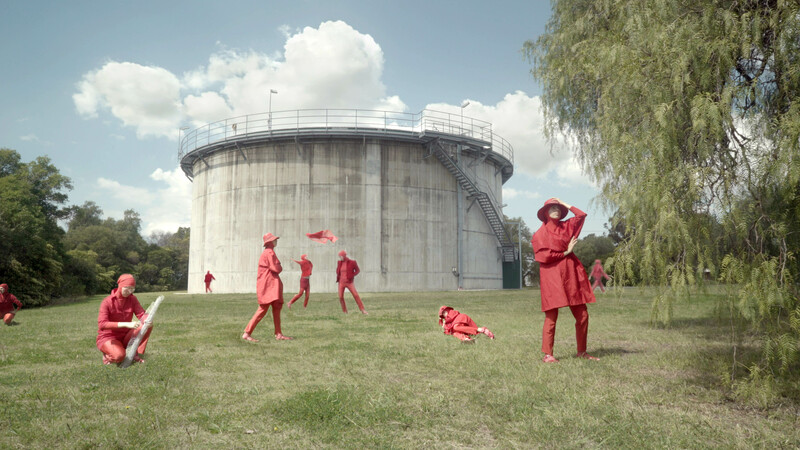 Ruby is a video piece recorded at Potts Hill, at the site where Ruby Payne-Scott performed her world-renowned research into Radio Physics and Astronomy. Much like her figure in the canon of scientific research, she emerges only briefly, her ghostly presence enlivening a desolate, disused landscape. Payne-Scott hid several aspects of her identity, such as her marriage and pregnancy, to continue her work as a scientist. She was also known to wear shorts when it was illegal for her to do so. Her skills of camouflage and rebellious feminist nature are reflected in this homage to her story and her legacy as a world renowned scientist.